You will be trusting a pet sitting company with the keys to your home and the lives of your pets. Make sure you deal with a legitimate company that carries the proper licenses and insurance. Does the company perform background checks on all of its employees? You are trusting your dog walker with the most important things in your life. The pet sitting companies listed in this website all perform background checks on their employees. Does the pet sitting company operate out of a legitimate commercial office? You want to do business with a pet care company that is in business for the long haul and financially sound enough to be able to afford a real office in a commercial building -- as well as qualify for a lease. The best pet sitting companies will eagerly invite you to visit their offices and will be proud of where they work. Can you find the pet sitter in the yellow pages? Being able to find your pet sitting company in the phone book means they are using business phone lines and are actively trying to grow their business through advertising. Beware of a company you cannot even find listed in the yellow pages. Does the pet care company accept credit cards? You are looking for stability and protection when selecting a pet sitting company. Look for a dog walking company that accepts credit cards. This will demonstrate that they have a business banking relationship and good credit, two things that should be very important to you before you hand the keys to your house over to your dog walker. Does the pet sitter answer its phones during normal hours? If you call between Monday - Thursday from 9am - 5pm, Friday from 9am - 4pm, the pet sitting company you select should always answer its phones. Don't settle for voicemail and phone tag. If you have an emergency, you want to know the pet sitter will answer the phone and be able to help you. Does the pet care company have enough staff to still take care of your animals even if somebody gets sick or has an emergency? Select a company large enough to be able to handle staff emergencies. If your pet sitter gets sick or has a family emergency, will the pet sitting company still be able to properly serve you? Can the pet care company administer medicines and handle emergencies? 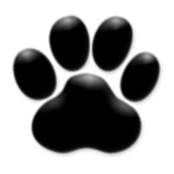 The companies listed on this website are the best animal caregivers in Northern VA. They can administer medicines and calmly handle your pet's health emergencies even when you are out of town. Can the pet sitting company provide references? Beware of any dog walking company that cannot put you in contact with a lot of satisfied customers. Does the pet sitting company have a professional website? A dog walking company's image should be something you judge. Has the company put forth an effort to own a professional, well-organized website? Does the website convey the information you are looking for? If a pet care company's website is full of grammatical errors and out-of date information, you should worry that they are not detail-oriented enough to care for your home and animals.